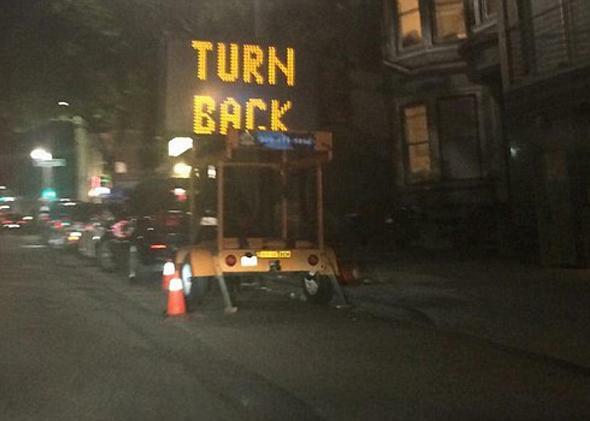 Homeland Security warns that digital road signs need better defenses against hackers. That’s presumably not what the sign was supposed to say. Photo courtesy of Ali Wunderman. People are often worried about malicious hacks that threaten their data or personal safety, but there’s a lighthearted side of hacks. 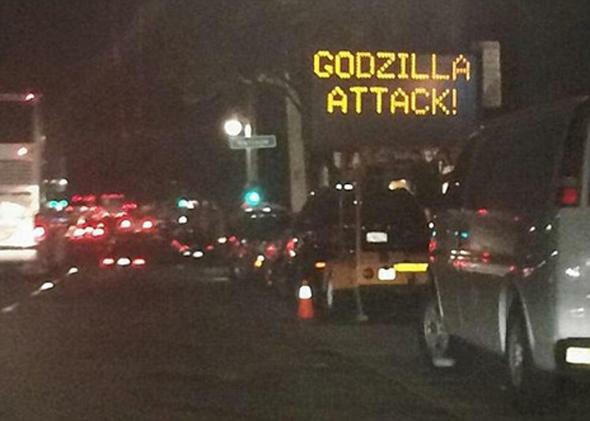 Who doesn’t giggle at a “Godzilla Attack!” or “Turn Back” highway sign? Sign hacks aren’t new—this one is from 2009, for instance—but digital graffiti seems to be on the upswing, with multiple hacks in San Francisco last month (above and below), and a few in North Carolina last week. The emergency response team noted that hackers were getting access to the signs because default passwords controlling the sign systems had been posted online. The report also pointed to a bug, though Daktronics spokesperson Jody Huntimer declined to comment to Reuters about whether this was a factor. “We … will release a statement once we have assessed the situation and developed customer recommendations,” Huntimer told Reuters. Cybersecurity analyst Brian Krebs wrote on his blog that he thinks these types of hacks can have negative impacts, but are not in themselves malicious. Though there could be dangerous consequences in the long term, it seems like for now the biggest danger is that everyone will slow down, look at the signs, and create awful traffic. Nah you don’t actually have to.